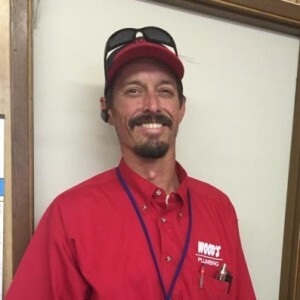 * Total number of reviews and star-ratings are based on data collected during the time period Wood's Plumbing has been using the ReviewBuzz system and may not directly match the data found on each public review site. Donavan from Wood's Plumbing came early for our service call. He was neat in appearance and wore booties before walking on our floors. He assessed the problem with our bathroom sink and told us the fee before any work began. Not only did he repair the one sink but he also modified both sinks to make it easier for us to clean and keep flowing properly. Donavan also checked all of our toilets and made modifications to a couple of the tank devices to ensure proper operation. He also took the time to offer suggestions for an improved kitchen faucet and what the cost would be. Donavan also checked our whole house water filter system noting possible substandard installation by our previous plumber. It may seem like a simple thing but we are very happy that our sinks are draining nicely and we will be able to prevent them from clogging. Donavan was efficient, personable, and very patient. We are glad we chose Wood's Plumbing to correct inefficiencies by our previous plumber. Ron P.
I was very impressed with the high quality professionalism of this company and their field tech, Bart Kahn. Quick to respond, showed up clean and professional, provided a free no obligation quote up front, high quality parts used, and job completed quickly. Went the extra step to insulate exposed pipes, and left no trace that he had been working here such as trash, etc. Hard to find this type of quality today. Definitely recommend. Bart and his helper Bob did a complete water re-pipe of my daughter's house. Incredibly polite and very professional, they completed the work on schedule and always made good decisions as to how to accomplish the work. I would recommend this team to anyone needing plumbing work. Bart Kahn came to replace my sewer line, this past Wednesday. He gave me a fair bid, and got the job scheduled in a timely manner. He said it would be dug and installed in one day, and it was. With careful attention, to making sure, the sewer line had the proper "fall". Thank you Bart and Woods Plumbing. For a job well done! Best plumber in Tucson hands down. Great service, fair price, knowledgeable, courteous and professional team. Bart did an amazing job and I would recommend this company highly. Wanted to let you know Donavan was great. Very polite and helpful. Really appreciate his work. Joe was awesome on time and did a great job. I wouls recommend him any time. We recently hired Wood's Plumbing for an emergency sewer line project. After getting several estimates, they were lower than the others. What convinced us was the outstanding customer service we received. The project needed our water to be shut off for 1 1/2 days, so they worked it out to service/complete the project while we were gone over Thanksgiving. Now the best part: DONAVAN CAMPBELL. What a class act he was! He was much more knowledgeable than the other outside company reps, did exactly what he said and more and left our yard better than before! 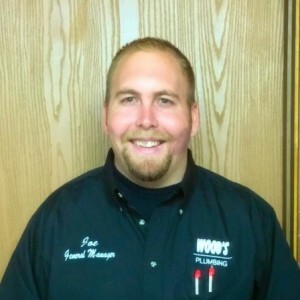 He is a wonderful representative of Wood's Plumbing and we will not only be using them for all our problems in the future, but are recommending him/Wood's to our neighborhood. The office staff is also helpful, understanding and wonderful...You owe it to yourself to hire this company. 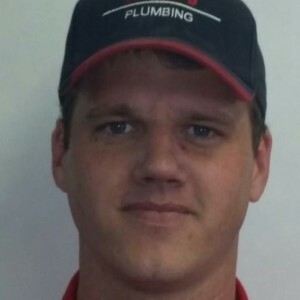 Wood's Plumbing has always provided prompt and professional service. All of their staff are helpful and the plumbers sent to my house are outstanding-including Bart and Donavan. Both were kind and courteous. Donovan came out to assess my leaky faucet and fixed my garbage disposal at no charge and advised me to contact the manufacturer of my faucet to see if they could give us a replacement - which they did. Bart installed my new faucet and did an excellent job. I always use Wood's Plumbing. Bart and Bob worked on my house repiping last week, they are so professional, polite and punctual. They cleaned up my house every day, no mess at all that I can sit back and relax. Bart is also willing to take extra time to fix other problems beyond the job. I'm very happy with the result. The company also sent out a nice drywall company to fix all damage wall.With the high quality and responsible plumbing company, I will use them now. Thank you Bart! Wood’s was very good to work with from the initial call till the job was finished. Bart was our tech and he explained all our options and costs prior to starting the repairs. He was very infomative with proactive ideas for safety options for the installation of a new hot water heater. He kept us informed as to the steps he was taking in the installation. Overall excellent communication and service. We are new to Tucson and purchased a home that needed to have the polybutylene pipes replaced. **** and his team did an excellent job!! They were on time, neat and kept us apprised of everything that was going on. The job was finished on promised date and everything in the proposal was done in a professional manner. We are very pleased with the outcome and thank Wood's Plumbing for superior service! We won't hesitate to call them again for any plumbing needs. Used Wood's Plumbing to fix the piping under our house. Joe came out to the house with Jay and did an awesome job!!! They are VERY professional, did a great job and totally cleaned up after they were done. Very friendly, polite young men. Would highly recommend them to anybody needing plumbing work. Bart was very professional and conscientious. I feel confident that the job was done well. Joe & Jay are the best! Showed up on time, even early, wore their shoe covers, and were professional, thorough, & personable. I was not getting hot water from my kitchen faucet and they correctly diagmosed the cause, explained it to me in terms I could understand, and gave me a detailed price estimate with 2 options. We recently had our entire house re-piped by Joe and Jay. They gave us an informative and detailed estimate. From start to finish they were professional, courteous, and went the extra mile to provide great service. Every step of the job was completed with high quality, responsive service, and attention to detail. We would highly recommend Wood's Plumbing. Renovation job replaced shower faucet. 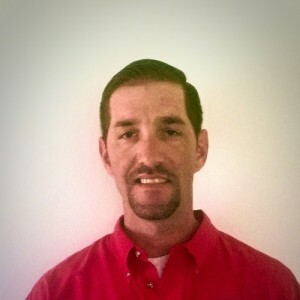 Woods Plumbing technician was extremely customer focused and meticulous in his work. This task was not an easy one and required excellent plumbing skills. Office personnel friendly and very accommodating. I would definitely recommend Woods Plumbing. Customer service is always a top priority at Wood's Plumbing. Our BBB Membership A+ rating is like a badge of honor as we continuously strive to provide the best experience for our clients.